I love to partner with talented researchers to bring their findings and recommendations to a broader field of practitioners. I worked with the Annie E. Casey Foundation and the National Implementation Research Network (NIRN) at the University of North Carolina at Chapel Hill to distill key practices for state and local child welfare system leaders from a detailed report. 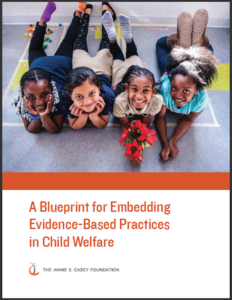 This practice guide applies NIRN’s framework for making evidence-based practices stick to common challenges and scenarios found in child welfare systems and includes key tips and recommendations.